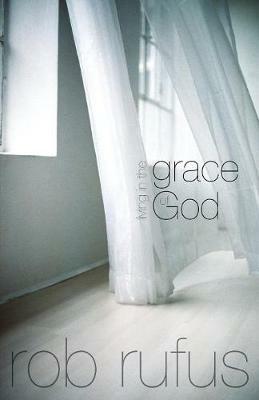 Rob Rufus argues that grace is the extra dimension that enables Christians to live like Christ, enabling them to tap into the realm of unlimited supernatural^resources and to experience unprecedented potential for growth. Understanding God's grace fully enables us to grow and flourish, fulfilling our destiny and becoming fruitful. Rob's central tenet is that instead of trying to live^up to other people's expectations, it's a relief to discover that God loves us just the way we are. Commendations: "Rob's powerful book advances the 'Grace Revolution' already underway in the churches." Greg Haslam, Minister, Westminster Chapel, London "Rob Rufus has given us an excellent practical guide to show us that true Christian victory is simply learning to live in the grace of God a lesson that so many of us need to^hear again and again." David Devenish, International Team, NewFrontiers^www.authenticmedia.co.uk About the author: Rob was saved out of the Hare Krishna movement. He planted and led Victory Faith Centre, South Africa, for twelve years and then worked with Dudley Daniel at Coastlands Christian Centre in Adelaide, Australia which grew to over 1,000 members. In 2005 he planted a church in Hong Kong.